Welcome: Vuvuzela ~ Can we get a tune out of it? Vuvuzela ~ Can we get a tune out of it? This guy got a little more tune out of it... Good Job! For many fans, the deafening and utterly toneless sound of the vuvuzela has marred this year’s World Cup even more than England’s dreadful efforts. 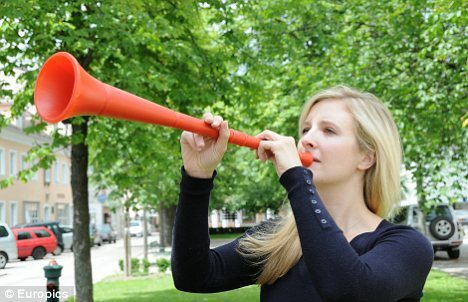 But could it be possible to get a decent noise out of the 3ft plastic horn? 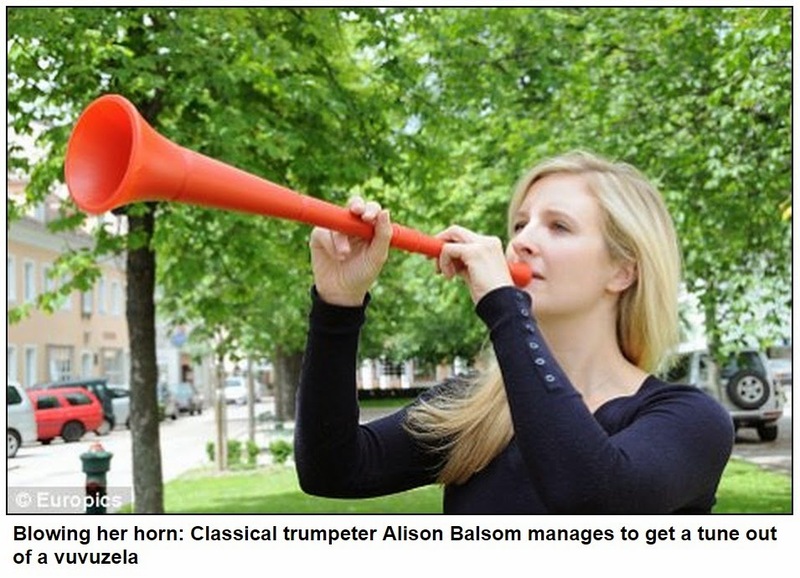 The Mail on Sunday asked Alison Balsom, one of the world’s best trumpeters, to give it a go. manages to get a tune out of a Vuvuzela.